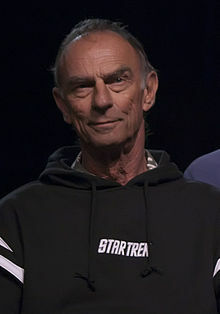 Marc Alaimo (born Michael Joseph Alaimo; May 5, 1942) is an American actor, known for his villainous roles. He is best known for his role as recurring villain Gul Dukat in the TV series Star Trek: Deep Space Nine. Alaimo has been playing characters in television shows since 1971. 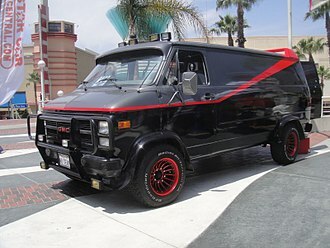 He has appeared, mostly as villains, in shows such as The Doctors, Kojak, Gunsmoke, Baretta, The Bionic Woman, Starsky and Hutch, Knight Rider, Quincy, The Greatest American Hero, The Incredible Hulk, Quantum Leap, Family Guy, Walker, Texas Ranger, Wonder Woman, The Rockford Files, Hill Street Blues, and The A-Team. Alaimo has appeared in some feature films including the 1984 science fiction movie The Last Starfighter (portraying the human guise of an alien assassin), the Leslie Nielsen film Naked Gun 33⅓: The Final Insult, Tango & Cash, and the 1988 film The Dead Pool. He also appeared as Curtis Block in the television movie Case Closed and as a security officer on Mars in the Arnold Schwarzenegger movie Total Recall. He played several characters in Star Trek: The Next Generation (Star Trek: TNG), starting in the first season. He has the distinction of two firsts on Star Trek: TNG, playing the first Romulan, Commander Tebok, in the 1988 episode "The Neutral Zone", and the first Cardassian (in any Star Trek series), Gul Macet, in the 1991 episode, "The Wounded". He also played a poker player who speaks French to Data in the episode "Time's Arrow". In 1993, Alaimo began playing Cardassian character Gul Dukat in Star Trek: Deep Space Nine. Gul Dukat was a recurring character, who appeared in 37 episodes of that series, and is his best-known character. He also appeared in a season two episode of 21 Jump Street. Alaimo also featured in the 2006 video game Call of Juarez, and its 2009 prequel Call of Juarez: Bound in Blood, both times as the voice of the gunslinging Ray McCall. In 2010 he voiced The Dean in the Family Guy episode "The Splendid Source". 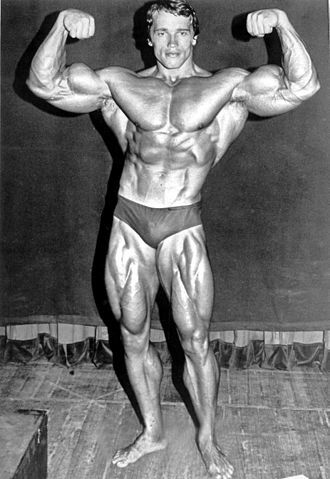 Alaimo was born in Milwaukee, Wisconsin. He has a son from his first marriage, Michael Antony Alaimo (born 1971), who is a writer, story editor and producer known for The Closer, Major Crimes, Invasion and Traveler. Alaimo has a daughter from his second marriage, Ariel Rose (born 1989), who is an artist and stylist. Seems Like Old Times (1980) – B.G. ^ "AREA ACTOR FINDS BREAKOUT ROLE IN MAKEUP ON `STAR TREK' SHOW. – Free Online Library". The Free Library. 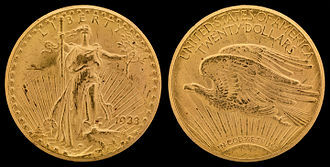 Retrieved 15 December 2012. 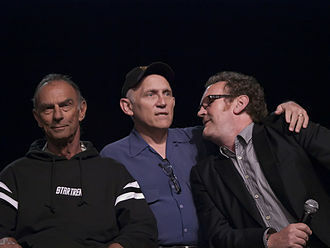 Wikimedia Commons has media related to Marc Alaimo. 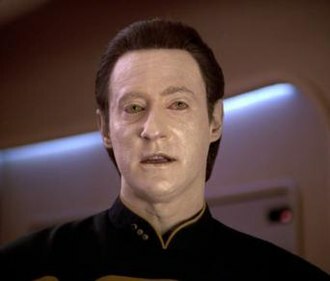 Data is a character in the fictional Star Trek franchise. He appears in the television series Star Trek, The Next Generation and the feature films Star Trek, Star Trek, First Contact, Star Trek, Data is portrayed by actor Brent Spiner. Data was found by Starfleet in 2338 as a sole survivor on Omicron Theta in the rubble of a colony left after an attack from the Crystalline Entity and his positronic brain allows him impressive computational capabilities. This goal eventually led to the addition of a chip, created by Soong. 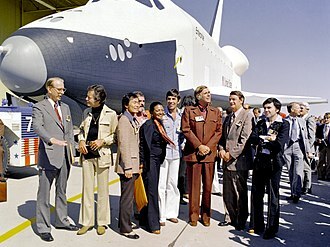 Gene Roddenberry told Brent Spiner that over the course of the series, Data was to more and more like a human until the end of the show, when he would be very close. That was the idea and thats the way that the writers took it, Spiner felt that Data exhibited the Chaplinesque characteristics of a sad, tragic clown. To get into his role as Data, Spiner used the character of Robby the Robot from the film Forbidden Planet as a role model. Commenting on Datas perpetual albino-like appearance, he said, I spent more hours of the day in make-up than out of make-up, Spiner portrayed Datas manipulative and malignant brother Lore, and Datas creator, Dr.
Noonien Soong. Additionally, he portrayed another Soong-type android, B-4, in the film Star Trek Nemesis, Spiner said his favorite Data scene takes place in Descent, when Data plays poker on the holodeck with a re-creation of the famous physicist Stephen Hawking, played by Hawking himself. Spiner reprised his role of Data in the Star Trek, Enterprise series finale These Are the Voyages. in a speaking part. Spiner felt that he had aged out of the role. Dialog in Datalore establishes some of Datas backstory and it is stated that he was deactivated in 2336 on Omicron Theta before an attack by the Crystalline Entity, a spaceborne creature which converts life forms to energy for sustenance. He was found and reactivated by Starfleet personnel two years later, Data went to Starfleet Academy from 2341–45 and served in Starfleet aboard the USS Trieste. 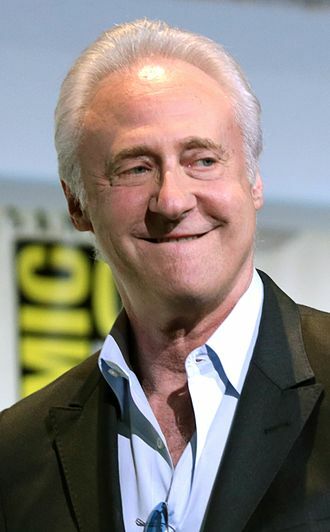 He was assigned to the Enterprise under Captain Jean-Luc Picard in 2364, in Datalore, Data discovers his amoral brother and learns that he was created after Lore. Call of Juarez is a 2006 first-person shooter Western video game developed by Techland. It was published for Microsoft Windows by Focus Home Interactive in Europe in September 2006 and it was ported to the Xbox 360 in 2007, published worldwide by Ubisoft. It was released on Xbox Live in March 2011, the North American PC release version of the game was one of the first PC games optimized for Windows Vista and DirectX10. Call of Juarez is the first game in the Call of Juarez series, the game tells the story of Billy Candle and Ray McCall, a former gunslinger turned preacher. After two years in Juarez looking for the mysterious Gold of Juarez, Billy returns to his town of Hope, Texas. 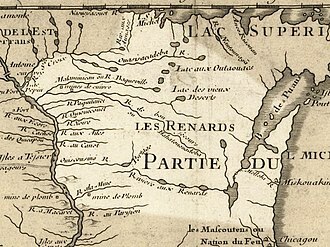 However, when he arrives at his farm, he finds his mother and stepfather have been murdered, although the game did not sell very well in North America, it fared better in Europe, with Techland citing it as putting us on the map. Overall, the game was enough of a success that Techland, the series includes a direct prequel, a loose sequel set in contemporary Los Angeles and Mexico, and a narratively unrelated game with similar gameplay. Call of Juarez is a shooter in which the player controls alternating protagonists, Billy Candle and Ray McCall. Billys levels are partially stealth-based, whereas Rays are more traditional shoot em up style, although the style of play for both characters is slightly different, controlling each character is broadly similar. Each can move forward and backward, can strafe left and right, can run, walk and jump. Each shares an identical HUD, with the information available to the player, currently held weapons, ammo count, a compass with objectives marked. Both characters can single and/or dual wield six shooters, or single wield other weapons, both characters can lean to the left and right without moving from their current position, and can interact with certain objects, such as health pick-ups and dropped weaponry. Billy can move faster than Ray and is quieter, allowing him to sneak up on enemies and he can grip onto ledges and pull himself up. Billy can use two weapons Ray cannot - a whip, and a bow and arrow, weapons common to both characters include various types of six shooters and shotguns. The Cardassians are an extraterrestrial species in the Star Trek science fiction franchise. First introduced in the 1991 Star Trek, The Next Generation episode, The Wounded, the Cardassians played a key role in the storyline of the Star Trek, Deep Space Nine series as allies of the Dominion in the Dominion War. Several Cardassian characters, including Elim Garak and Gul Dukat, are prominently featured, Cardassians are a humanoid race, with light grey skin. Their faces have small ridges on their sides, which converge to a characteristic crest shape on their foreheads and this crest has led to the derogatory nickname spoonheads used by other races. Cardassians tend to be dominating and aggressive even in social situations and their public behavior is much like a wolf pack, often seeking out the dominant position in any social gathering. Cardassian culture places importance on family, advanced age is seen as a sign of power and dignity. Orphans, on the hand, have little standing in Cardassian society and are often abandoned. A prominent ritual in Cardassian society is the shri-tal, carried out when a person is about to die and their closest family members will gather and the dying Cardassian will reveal to them his or her closest secrets, to be used against the family enemies. The Cardassian legal system is centered around the concept of a show trial, guilt is determined prior to the trial itself, which is intended to force the accused person to make a public confession of their guilt and demonstrate the power of the state. The verdict is always guilty, the sentence is always death, in romantic courtships, Cardassian couples routinely act bitter and snap at each other. The Obsidian Order is a Cardassian intelligence organization in the Star Trek universe, security Chief Odo of Deep Space Nine remarked that it was one of the most brutally efficient organizations in the galaxy, being even more ruthless than the Romulan Tal Shiar. The Order kept close tabs on all Cardassian citizens to ensure loyalty and it was said that the average Cardassian could not sit down to dinner without the contents of the meal being noted and logged by the Order. Gunsmoke is an American radio and television Western drama series created by director Norman Macdonnell and writer John Meston. The stories take place in and around Dodge City, the central character is lawman Marshal Matt Dillon, played by William Conrad on radio and James Arness on television. When aired in the UK, the series was initially titled Gun Law. The radio series ran from 1952 to 1961, John Dunning wrote that among radio drama enthusiasts, Gunsmoke is routinely placed among the best shows of any kind and any time. The television series ran for 20 seasons from 1955 to 1975, at the end of its run in 1975, Los Angeles Times columnist Cecil Smith wrote, Gunsmoke was the dramatization of the American epic legend of the west. Our own Iliad and Odyssey, created from elements of the dime novel and the pulp western as romanticized by Buntline, Harte. It was ever the stuff of legend, robinson instructed his West Coast CBS Vice President, Harry Ackerman, who had developed the Philip Marlowe series, to take on the task. 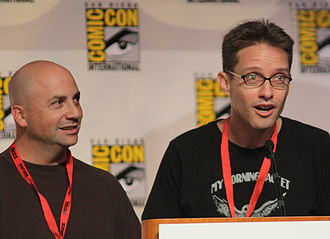 Ackerman and his scriptwriters, Mort Fine and David Friedkin, created a script called Mark Dillon Goes to Gouge Eye based on one of their Michael Shayne radio scripts. Two auditions were created in 1949, CBS liked the Culver version better, and Ackerman was told to proceed. A complication arose, Culvers contract as the star of Straight Arrow would not allow him to do another Western series, the project was shelved for three years, when producer Norman Macdonnell and writer John Meston discovered it while creating an adult Western series of their own. 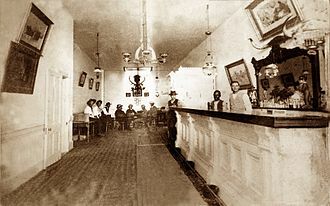 Macdonnell and Meston wanted to create a radio Western for adults, in contrast to the prevailing juvenile fare such as The Lone Ranger, Gunsmoke was set in Dodge City, during the thriving cattle days of the 1870s. 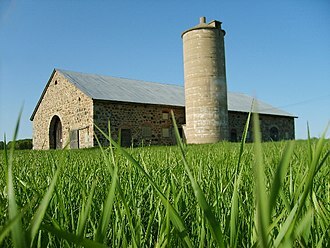 Dunning notes, The show drew critical acclaim for unprecedented realism, the radio series first aired on CBS on April 26,1952 with the episode Billy the Kid, written by Walter Newman, and ended on June 18,1961. The show stars William Conrad as Marshal Matt Dillon, Howard McNear as Doc Charles Adams, Georgia Ellis as Kitty Russell, Dillon was played on radio by William Conrad and on TV by James Arness. The Greatest American Hero is an American comedy-drama television series that aired for three seasons from 1981 to 1983 on ABC. Created by producer Stephen J. Cannell, it premiered as a pilot movie on March 18,1981. The series features William Katt as teacher Ralph Hinkley, Robert Culp as FBI agent Bill Maxwell, the series chronicles Ralphs adventures after a group of aliens gives him a red suit that grants him superhuman abilities. Unfortunately for Ralph, who hates wearing the suit, he immediately loses its instruction booklet, Ralph Hinkley is a Los Angeles public school substitute teacher of special education high school students. During a school trip, the group encounter aliens who give Hinkley a suit which endows him with superhuman abilities. Also during the encounter, he is instructed by the aliens to thereafter collaborate with FBI Special Agent Bill Maxwell and their instructions are to use the suit as a means to fight crime and injustice in the world. Subsequently, Attorney Pam Davidson, who handled Ralphs divorce, encounters the aliens, through some coercion, she eventually agrees to, on occasion, join Ralph and Bill during missions. Ralphs uniform grants him the powers of flight, super strength, invisibility, telekinesis, X-ray vision, super speed, holographic vision, shrinking and even the ability to detect the supernatural. As Ralph lost the instruction manual, his discovery of these different powers often come as a surprise even to himself. Notably, while the suit enables Ralph to fly, it does not endow him with any particular skill at landing, in the episode Fire Man he displays resistance to fire/heat and uses super exhalation, he uses this ability in the episode Theres Just No Accounting. Ralph shows signs of being able to control minds after hes exposed to doses of plutonium radiation. In the season two episode, Lilacs, Mr. Maxwell, Ralph is shown to control a dog via a holograph. This may have been a power of the suit. In The Shock Will Kill You, he becomes strongly magnetized, in the season two episode Dont Mess Around with Jim and Maxwell learn they are not the first duo who received such a uniform. Jim J. J. Beck had received the suit, and Marshall Dunn was his partner, much like Ralph and Maxwell operated. Walker, Texas Ranger is an American action television series created by Leslie Greif and Paul Haggis. It was inspired by the film Lone Wolf McQuade, with both series and that film starring Chuck Norris as a member of the Texas Ranger Division. The show aired on CBS in the spring of 1993, with the first season consisting of three pilot episodes, eight full seasons followed with new episodes airing from September 25,1993, to May 19,2001, and reruns continuing on CBS until July 28,2001. It has been broadcast in over 100 countries and has spawned a 2005 made-for-television movie entitled Trial By Fire. The movie ended on a cliffhanger, which was never resolved, DVD sets of all seasons have been released. At various times since 1997, reruns of the show have aired, in syndication, on the USA Network, reruns can currently be seen on CBS Action, WGN America, INSP and Grit. The series was noted for its moralistic style, the characters refrained from the use of drugs, and they participated in community service. Martial arts were displayed prominently as the tool of law enforcement and occasionally as a tool for Walker. The show was developed by executive producer Allison Moore and supervising producer J. Michael Straczynski when the series was still being produced by Cannon Television. While Straczynski had to depart to get his new series Babylon 5 on the air, the show is centered on Sergeant Cordell Walker, a Dallas–Fort Worth–based member of the Texas Rangers, a state-level bureau of investigation. Walker was raised by his uncle, a Native American named Ray Firewalker. The surname being, possibly, a nod to the 1986 Norris film, prior to joining the Rangers, served in the Marines elite recon unit during the Vietnam War. Both Cordell and Uncle Ray share the characteristic of Wild West sheriffs. His partner and best friend is James Jimmy Trivette, a former Dallas Cowboys player, Go Long T, Walkers young partner grew up in Baltimore and used football as his ticket to college education. He was dropped from the team after he tore up his shoulder in a major game, Trivette works inside the office using computers and cellular phones to collate information of the people who have been taken into custody. Baretta is an American detective television series which ran on ABC from 1975 to 1978. The show was a milder version of a 1973–74 ABC series, starring Tony Musante as chameleon-like. When Musante left the series after a season, the concept was retooled as Baretta. Like his model David Toma, Tony Baretta wore many disguises on the job, when not in disguise, Baretta usually wore a short-sleeve sweatshirt, casual slacks, a brown suede jacket and a newsboy cap. He often carried an unlit cigarette in his lips or behind his ear and his catchphrases included You can take dat to da bank and And dat‘s the name of dat tune. When exasperated he would speak in asides to his late father. Baretta drove a rusted-out Mist Blue 1966 Chevrolet Impala four-door sport sedan nicknamed The Blue Ghost and he hung out at Ross’s Billiard Academy and referred to his numerous girlfriends as his cousins. The music for the show was done by the Latin influenced rock group El Chicano from Los Angeles, who released the song as a 45 and a track on one of their albums. The Baretta theme song by El Chicano was a hit in many countries including Turkey, Singapore, France. Billy Truman, retired cop who used to work with Barettas father Louie at the 53rd Precinct, rooster, a streetwise pimp and Barettas favorite informant. Inspector Shiller and Lieutenant Hal Brubaker, Barettas supervisors, little Moe, a shoeshine man and informant. Mr. Muncie, the owner of a store at 52nd. The theme song, Keep Your Eye on the Sparrow, was written by Dave Grusin and Morgan Ames, initially an instrumental, lyrics were added in seasons that were sung by Sammy Davis, Jr. Every episode of Baretta began with the song, which contained the motto, the song was released as a single in Europe in 1976, reaching number one in the Dutch Top 40 as Barettas Theme. The music for the song was performed by Los Angeles-based Latin influenced Rock band El Chicano from Los Angeles. El Chicano released the song as a 45 and as a track on one of their albums, the Baretta theme song by El Chicano was a huge hit in many countries including Turkey, Singapore and The Philippines. Wonder Woman, known from seasons 2-3 as The New Adventures of Wonder Woman, is an American television series based on the DC Comics comic book superhero of the same name. The show stars Lynda Carter as Wonder Woman/Diana Prince and Lyle Waggoner as Steve Trevor Sr. & Jr and it originally aired for three seasons from 1975 to 1979. The shows first season aired on ABC and is set in the 1940s during World War II. The second and third seasons aired on CBS and are set in the 1970s, with the changed to The New Adventures of Wonder Woman. Waggoners character was changed to Steve Trevor Jr. the son of his original character, the show had its origins in a November 1975 American television movie entitled The New, Original Wonder Woman starring Carter. It followed a 1974 TV movie entitled Wonder Woman starring actress Cathy Lee Crosby, John D. F. Black wrote and produced the 1974 TV movie. In the 1975 movie, set during World War II and produced by Douglas S. Cramer, who were working from a script by Stanley Ralph Ross, Lynda Carter starred as Wonder Woman. Its success led the ABC-TV network to two more one-hour episodes which aired in April 1976. That success led ABC to order an additional 11 episodes which the network aired weekly during the first half of the 1976–77 television season, the episodes ran on Wednesday nights between October 1976 and February 1977. Wonder Woman achieved solid ratings on ABC during its first season, Wonder Woman was a period piece, and as such, it was more expensive to produce than a series set in the present day. Also, ABC thought that the 1940s setting limited possible storylines, ABC did not renew the series, so Jerry Lieder, then-president of Warner Bros. Television, went to CBS with the notion of shifting the series to the present-day 1970s, CBS agreed and picked up the show in 1977, and it continued for another two seasons. The first attempt to translate Wonder Woman to the screen occurred in 1967. The success of the Batman TV series led Batman producer William Dozier to commission a pilot script by Stan Hart, Batman writer Stanley Ralph Ross performed a re-write after Hart and Siegels script was deemed unsuitable. 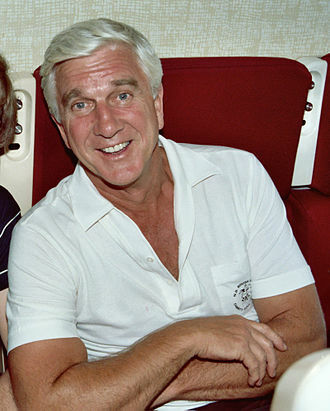 Leslie William Nielsen, OC was a Canadian actor and producer. He appeared in more than 100 films and 150 television programs, Nielsen was born in Regina, Saskatchewan. 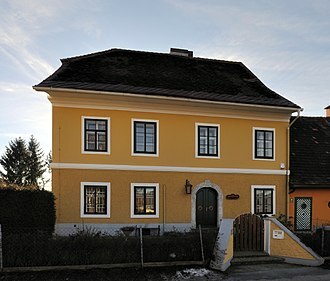 He enlisted in the Royal Canadian Air Force and worked as a jockey before receiving a scholarship to study theatre at the Neighborhood Playhouse. 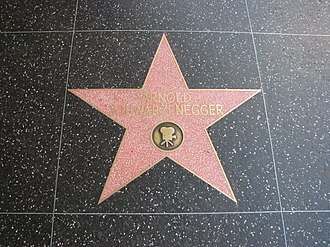 Making his acting debut in 1950, appearing in 46 live television programs a year, Nielsen made his film debut in 1956, with supporting roles in several drama and romance films produced between the 1950s and the 1970s. In his routines, Nielsen specialized in his portrayal of characters oblivious to and complicit in their absurd surroundings, Airplane. in which he starred. Nielsen received a variety of awards and was inducted into the Canada, Leslie William Nielsen was born on 11 February 1926 in Regina, Saskatchewan. 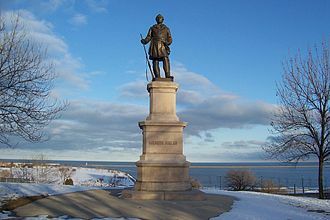 His mother, Mabel Elizabeth, was a British immigrant from Wales, Nielsen had two brothers, the elder, Erik Nielsen, was Deputy Prime Minister of Canada from 1984 to 1986. Nielsens half-uncle Jean Hersholt was a known for his portrayal of Dr. Christian in a radio series of that name. In a 1994 Boston Globe article, Nielsen explained, I did learn very early that when I would mention my uncle, people would look at me as if I were the biggest liar in the world. Then I would take home and show them 8-by-10 glossies. So I began to think that maybe this acting business was not a bad idea, much as I was very shy about it and my uncle died not too long after I was in a position to know him. I regret that I had not a chance to him better. Nielsen lived for years in Fort Norman in the Northwest Territories where his father was with the Royal Canadian Mounted Police. His father was a man who beat his wife and sons. When he graduated high school at 17, he joined the Royal Canadian Air Force even though he was legally deaf. Following graduation from Victoria School of Performing and Visual Arts in Edmonton, Nielsen enlisted in the Royal Canadian Air Force and he was too young to be fully trained or sent overseas. Mark Hentemann wrote the episode based on a short story by Richard Matheson. Microsoft co-founder Bill Gates was referenced in the episode. The main cast of Traveler. From left to right: Logan Marshall-Green, Aaron Stanford and Matt Bomer. 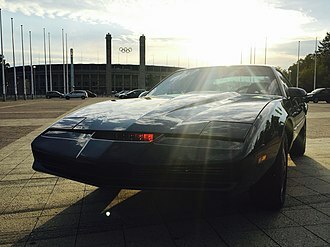 A black Pontiac Firebird Trans Am built to mimic KITT from the TV series Knight Rider.